Democratic US Presidential hopeful Bernie Sanders is a pro- totalitarian communist. 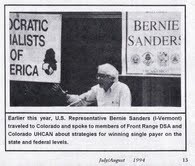 Everybody knows that Sanders, the grandfatherly Independent Senator from Vermont is a “democratic socialist.” He’s made no secret of it over the years, proudly proclaiming to anyone who will listen. To most people it’s no big deal: “at least he’s honest,” they’ll chuckle. Most people seem to imagine that Grandpa Bernie’s socialism is benign, owing much more to Sweden than Cuba, much more to modern West Germany, than to the old Soviet-controlled German Democratic Republic. But is Bernie Sanders really being honest? What if he is actually more of a communist? A believer in class struggle? Of crushing the free enterprise system? Firstly, I want to present evidence that Senator Sanders was never a true Independent, as he liked to portray himself before standing as a Democrat. That he is in fact, a member of a semi-secret political organization. Secondly, I want to prove that that organization, in spite of labeling itself ‘socialist,’ is in fact, a communist grouping – with all the negative connotations that it implies. 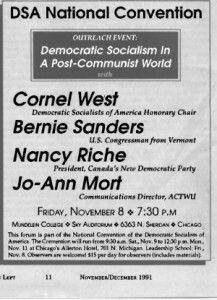 For several decades, Bernie Sanders has been closely associated with Democratic Socialists of America, the country’s largest openly leftist organization. Senator Sanders has keynoted several DSA conferences, numerous DSA fundraisers have raised money for him, DSA backed his 2006 Senate campaign and now, the group is actively encouraging him to run for the White House in 2016. 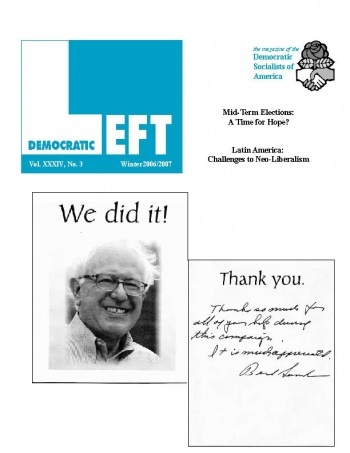 DSA’s Democratic Left, Winter 2006/2007. Sanders thanks DSA for helping him win his Senate race. But, as far as I’m aware, there has never been any evidence that Sanders is actually a DSA member. 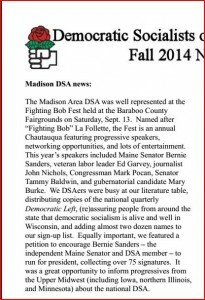 Until now: Madison Democratic Socialists of America has confirmed Senator Sanders’ long suspected DSA membership on page one of their Fall 2014 newsletter (though getting his state of origin incorrect). Madison DSA News, Fall 2014, page 1. 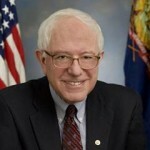 Equally important, we featured a petition to encourage Bernie Sanders – the independent Maine Senator and DSA member – to run for president, collecting over 75 signatures. Though their geography may be poor, there is no reason to believe that the Madison DSAers were either lying or mistaken about Senator Sanders’ DSA membership status. 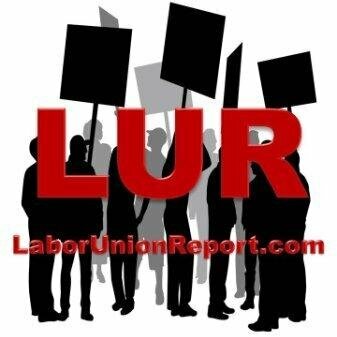 Membership status is a big deal in leftist organizations. Dues-paying membership elevates one to the elite ranks of the Progressive movement. Formal “paid up” Party membership is not taken lightly. Clearly Sanders’ DSA membership is not for public consumption. Probably the “cheesehead” socialists believed that only sympathizers would ever bother to read their little newsletter. 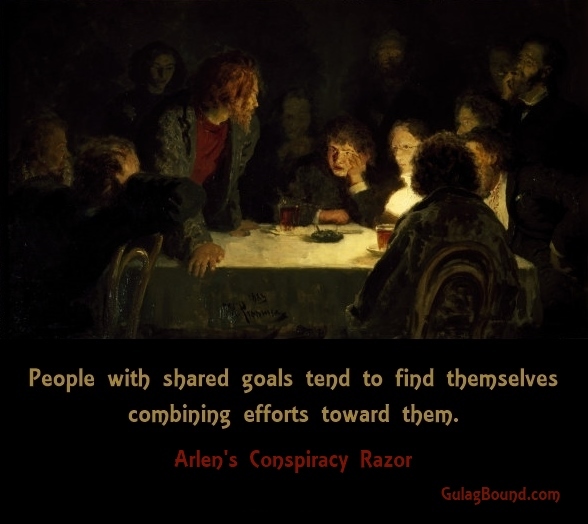 After all, what’s a little secret between trusted comrades? So, now I’ve established that Senator Sanders is probably a closet DSAer, why is that of concern? My contention is simple. Despite using the word “socialists” in its name, DSA is, for all practical purposes, a communist organization. 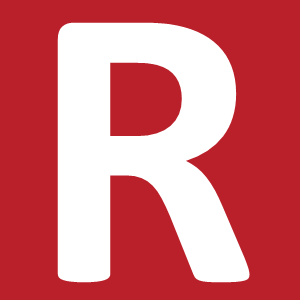 Because most DSAers are also active Democrats, or Green Party activists, the “socialist” label doesn’t meet the degree of resistance, that the more honest description “communist” would. 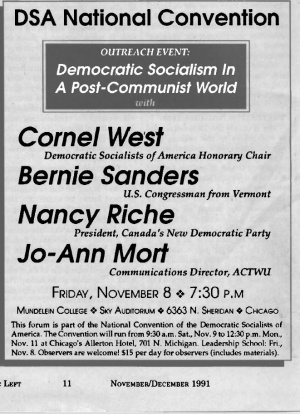 DSA works very closely with three of America’s leading communist groups – the Maoist-leaning Freedom Road Socialist Organization, the “old guard” Communist Party USA and the CPUSA spin-off Committees of Correspondence for Democracy and Socialism. 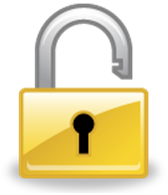 The four groups have even seriously considered merging in recent years. In June 2013, “The Future of the Left – A Conversation on Socialist Unity” was convened in New York City by the four groups, where the idea of eventual unification was discussed in depth. DSA draws most of its ideas and inspiration from Chicago radical, Saul Alinsky and Italian Communist Party theoretician, Antonio Gramsci. 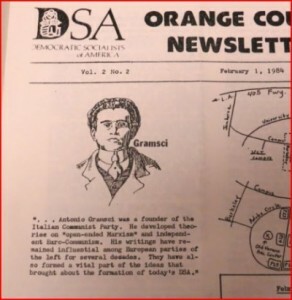 Orange County California DSA acknowledged the organization’s debt to Gramsci in its February 1984 newsletter. Communist enough for you folks? 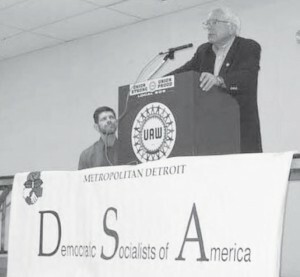 Bernie Sanders is no European style social democratic “socialist.” He is a totalitarian communist and he should have the integrity to be honest about it. Trevor Loudon is the author of The Enemies Within:Communists, Socialists and Progressives in the US Congress.